The first in a series of three articles. When asked what I do for a living the response I give is that I help people plan for their only government mandatory expense in retirement. The harsh reality is that most people do not realize they have a federally mandated expense in retirement which happens to be Medicare. In fact, according to SunLife, in its Flying Blind Survey, not only do many people not realize that they have a mandatory expense in retirement, but that less than 10% of those polled have even planned for health costs in any financial plan. According to federal regulations, anyone who wishes to receive their Social Security benefit must also accept Medicare when eligible. Eligibility is defined as the time when a person is 65 years-old or older and is no longer covered by creditable health insurance through an employer or spouse’s employer. Failure to accept Medicare at this time will result in an immediate forfeiture of all current, future and even any already accepted Social Security benefits. This, unfortunately, is not the only regulation that the federal government has implemented when it comes to health costs in retirement as there are three other regulations that you should be aware of. On top of Medicare being mandatory to receive your Social Security benefit, this exact same expense is also means tested as well. With the passing of the Medicare Modernization Act of 2003 and the Affordable Care Act of 2010, Medicare was authorized to create its Income Related Monthly Adjustment Amount (IRMAA) brackets. Ultimately, if you happened to earn too much income in any given year then Medicare will assess a surcharge on top of your current Medicare Part B and Part D premium through IRMAA. Some examples of income are: Wages, Social Security benefits, capital gains, all dividends and interest (including tax-exempt interest and dividends), and withdrawals from any qualified tax-deferred investment (i.e. a traditional 401(k) or IRA). The final federal regulation that is not being discussed is the bulk of your Medicare premiums are deducted automatically from any Social Security benefit you will receive. By law, any Part B premium, possible late fee and any surcharges due to Medicare’s IRMAA will be taken directly from your Social Security benefit. Therefore, we are starting to see the emergence of a new understanding of retirement planning because the rules are changing due to Medicare. 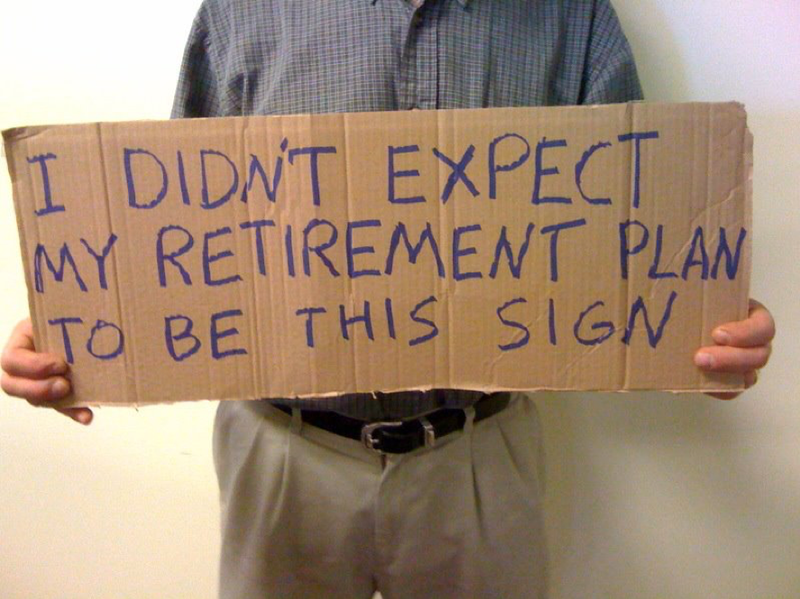 They will affect many of those who are not only in retirement but are also heading towards it. It is important that we start with a basic overview of what these expenses for those who are aging into Medicare will potentially be. The source for this information is Medicare.gov. It should be noted that these are based on national averages and does not reflect a Medicare beneficiary’s state specific carriers for a Medicare Supplemental Insurance Plan and a Part D Prescription Drug Plan premium as well as associated out of pocket costs. In addition, the Part B amount of $134.00 per month is based on the 2018 income levels of $85,000 or less for a single individual and $170,000 or less for a married couple. It should be noted that Medicare is means tested and this means testing is determined by something called the Income Related Adjusted Amounts (IRMAA). Below are the 2018 IRMAA Brackets and their associated means tested amounts. When an individual ages into Medicare the 1040 Federal Income Tax return from two years prior is used to determine the IRMAA Bracket and the associated means tested amount or surcharge. Therefore, an individual currently aging into Medicare in 2018 will have the income used from their 2016 Federal Income Tax return to determine their Medicare costs. This income is determined by line 37 and line 8b of your 1040. In addition, we need to understand what is considered income as it pertains to this calculation as is reflected on line 37 plus 8b of the 1040. Below is an overview of what is income. It should be noted that if an individual has not yet started taking their Social Security, Medicare will bill them quarterly for their Medicare premiums. Once a Medicare beneficiary begins collecting Social Security the Part B premiums as well as the associated surcharge amounts for Part B and Part D will be deducted from their Social Security check. In addition, it is important to understand the impact that increasing Medicare premiums because of inflation will have on an individual’s Social Security check. According to the Social Security Board of Trustees Report, the cost of living adjustment (COLA) for Social Security will be 2.6% for the “foreseeable future.” In 2017 the Cost of Living Adjustment was 2.0% and in 2016 the Cost of Living Adjustment was 0% (Hold Harmless Act). The Hold Harmless Act of 1984 stipulates that no retiree who is enrolled in Medicare and Social Security can see their Social Security benefit decreased due to Medicare increases. This was updated in 2009, making the Hold Harmless Provision only for those who are under Medicare’s IRMAA limits. Those who are subject to means testing (IRMAA) are not protected under the Hold Harmless Provision. According to the 2015 Medicare Board of Trustees Report, the average inflation rate of Medicare is 7.73% and the projected rate of inflation for 2019 through 2026 is 5.89%. For those who are not protected under the Hold Harmless Act will continue to see their Social Security checks decrease as Medicare costs continue to increase. Therefore, it is imperative that higher income individuals and couples explore planning options which will reduce the impact of Medicare costs over-time by utilizing financial strategies that do not trigger Medicare means testing. Below is a list of items which are not considered income for the purposes of Medicare means testing. Based on the current projected inflation rate of Medicare, a 50-year-old couple, retiring at age 66, the projected costs, with the inflation rate remaining constant through age 85, would be expected to pay the following based on the current IRMAA Brackets. In addition, the Medicare Board of Trustees has added additional income brackets for the year 2026 and beyond. Also, starting in 2028 the associated Medicare Part B and related Part D surcharge amounts will be adjusted to the CPI-U (Consumer Price Index for all Urban Consumers) each year. Once an individual is enrolled in Medicare their cost is determined by the tax return filed two years prior. Therefore, it is important to understand how these costs impact your ongoing Social Security check and the associated purchasing power of that check. Below is the proposed IRMAA Brackets for 2026. According to the AARP, almost four in ten workers age 50 and over (38%) are not saving for healthcare costs and many (44%) do not have any plans to do so in the future. It is imperative that individuals and couples consult with a financial professional who understands and specializes in the regulations of health care costs in retirement. For those who are younger than 65 and are beginning the planning process for their future retirement it is critical to review strategies which will reduce the overall impact of these costs in their retirement. In a more broader sense, action must be taken to protect every U.S. citizen as the nation’s economic health in the future depends on it. Theresa J. Yarosh, CFP®, CLU®, ChFC® has over 20 years of experience in the financial services industry and she specializes in the impact of healthcare costs on retirement plans. She is the founder and president of Macro Wealth Management, LLC as well as the founder and president of Main Street Medigap, LLC. Main Street Medigap, LLC offers Medicare Supplemental Insurance plans and Part D Prescription Plans to consumers. In addition, Theresa advises Attorneys, Banks, CPAs and other Financial Advisors as it pertains to Medicare and the impact of those costs on retirement plans. She can be reached at tyarosh@macrowealthmanagement.com or theresa@mainstreetmedigap.com.